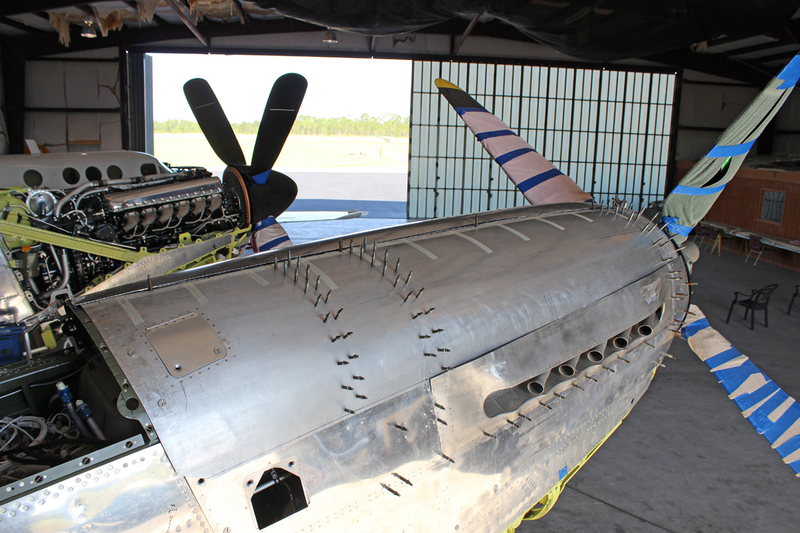 WarbirdsNews has received the latest XP-82 Twin Mustang restoration update from Tom Reilly at his workshop in Douglas, Georgia, and we thought you would all be pleased to see the latest progress! 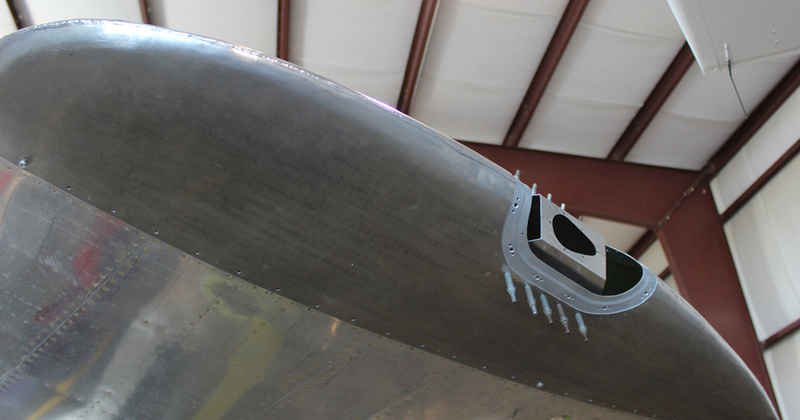 After what seems like forever, the forming and welding of the seams on the two wing tips are now completed with the exception of their final spot welding. The Lucite (Plexi-glass) red and the green lenses that cover each tip light bulb still need to be formed. 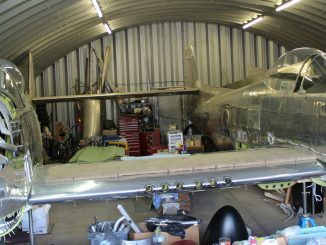 The left and right horizontal-to-vertical stabilizer fairings are now complete, less the welding on the leading edge seams. 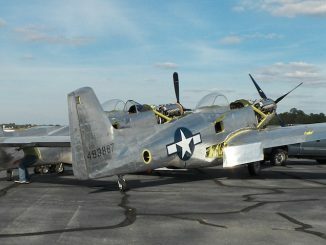 They have a unique mounting. 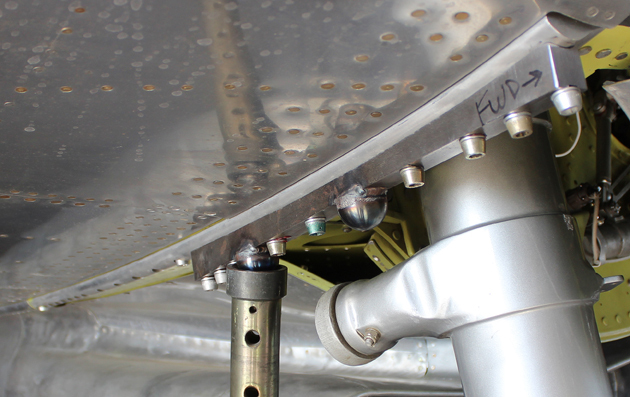 Each fairing screws horizontally to the vertical stabilizer and dorsal panel, but only rubs on a thin phenolic strip mounted to the upper and lower surfaces of the horizontal stabilizer. 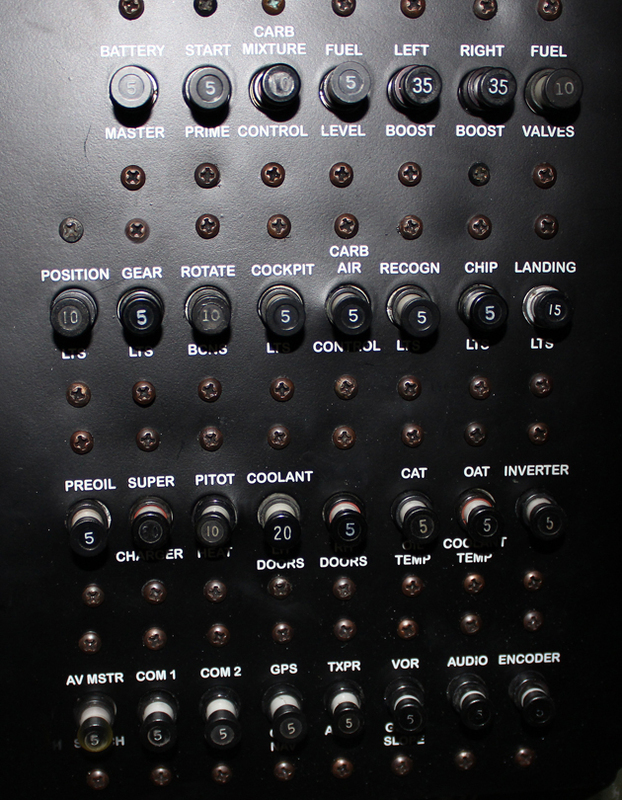 There are no vertical attaching screws. 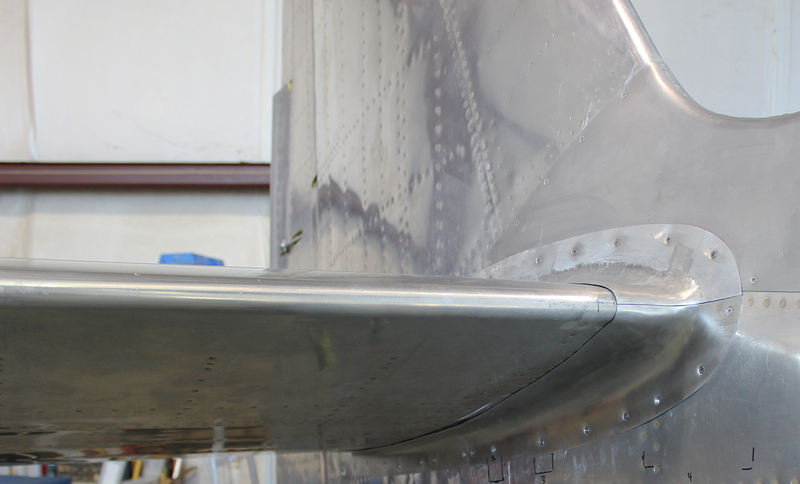 The forming of the fuselage-to-wing/center section and trailing edge fairings has just got underway. 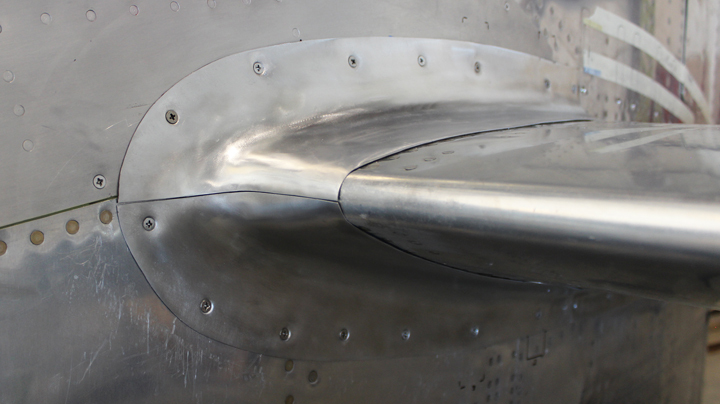 The right-hand top cowl for the right-hand engine has now finally been reworked, fit and drilled to the internal framework. 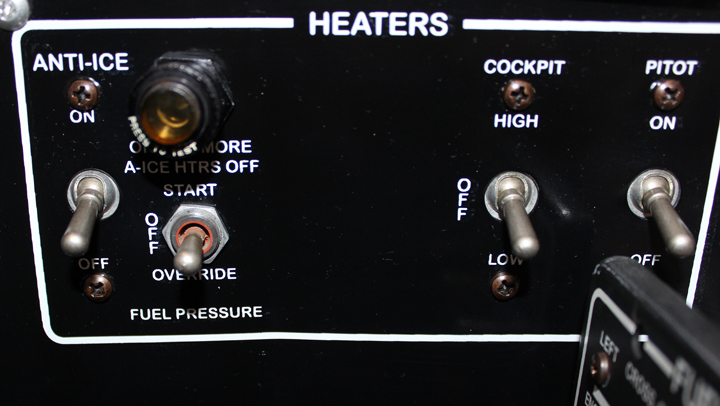 The left-hand top cowl is still presenting such a challenge that Tom Reilly thinks they will have to remake the entire panel. 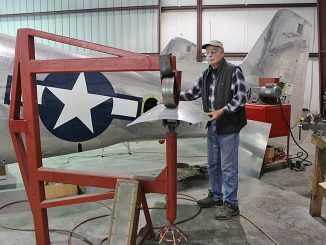 He states that it has been quite a frustrating job to try to correct these two top panels. 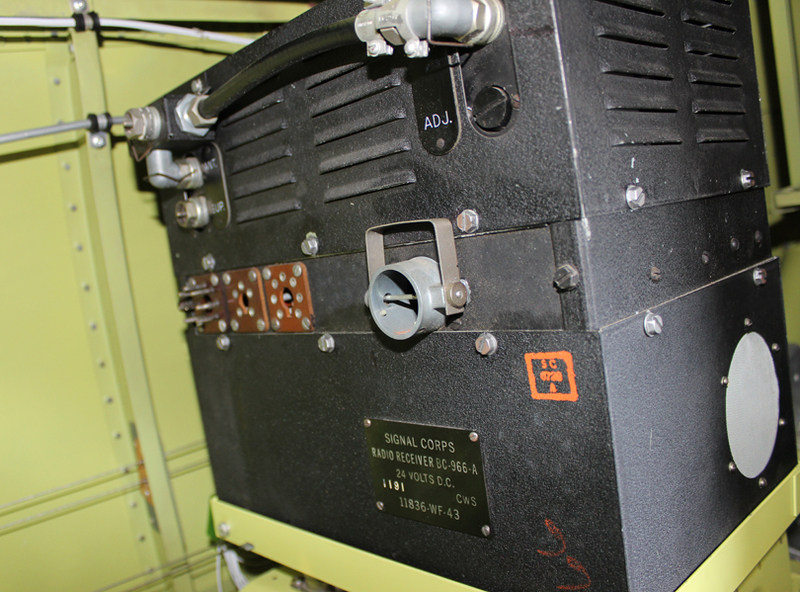 The final original radio receiver, a BC-966-A, has been installed completing the entire radio package. 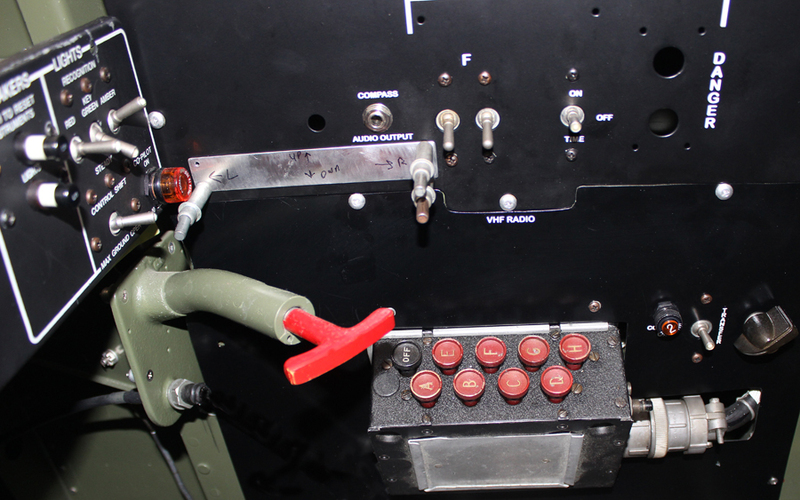 The team also found a rare detonator switch that was designed, in the event of a high-G crash, to trigger an explosive charge mounted in each radio thereby destroying it and preventing an enemy from gaining any knowledge. 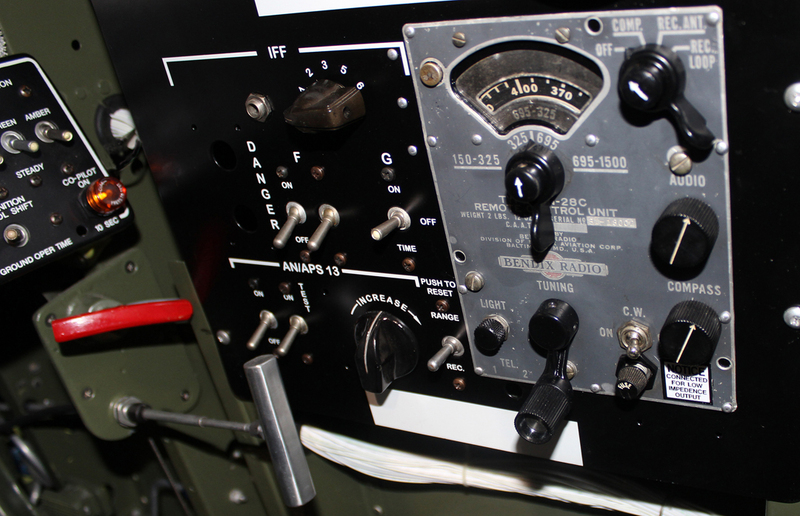 Of course, all of the XP-82 radios have not had these charges installed. 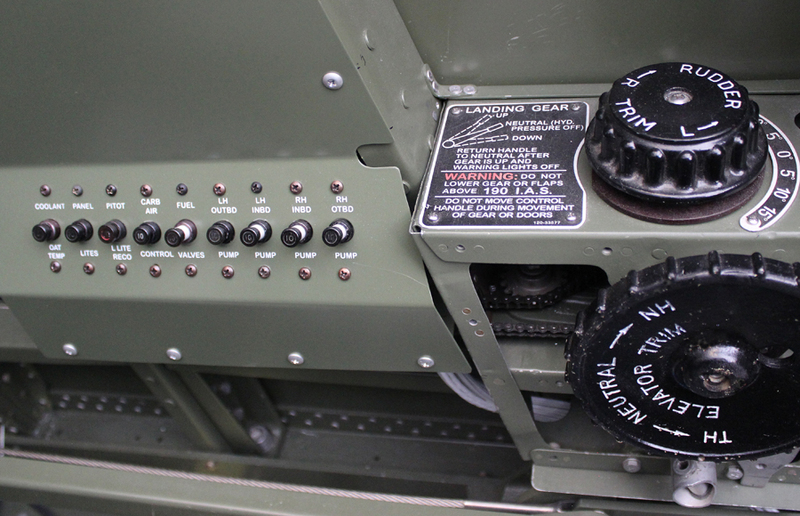 The team also has original Cannon plug connectors for each radio that still need to be wired for authenticity. 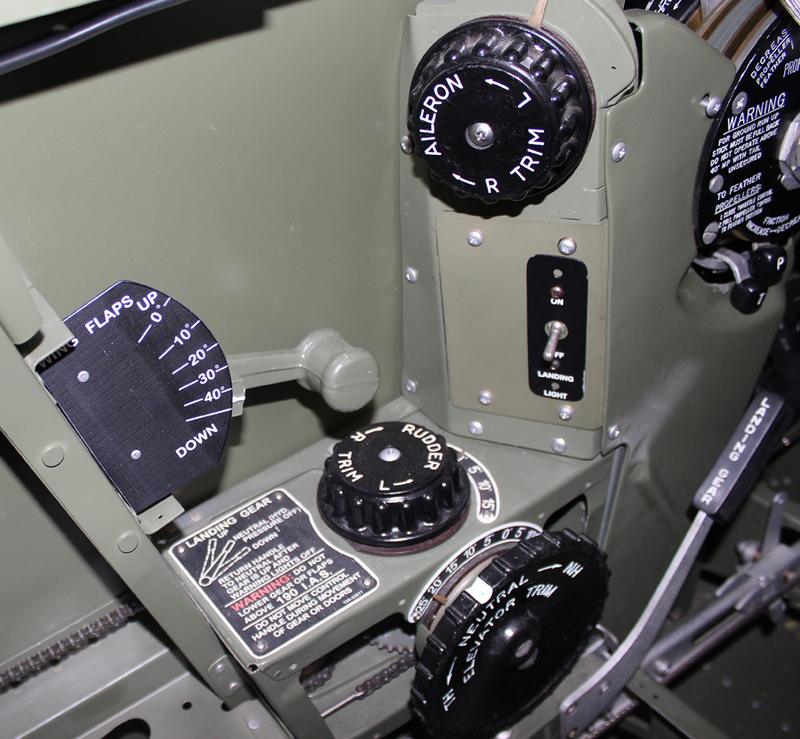 The latest Garmin radio and avionics package was being installed as these words were written. 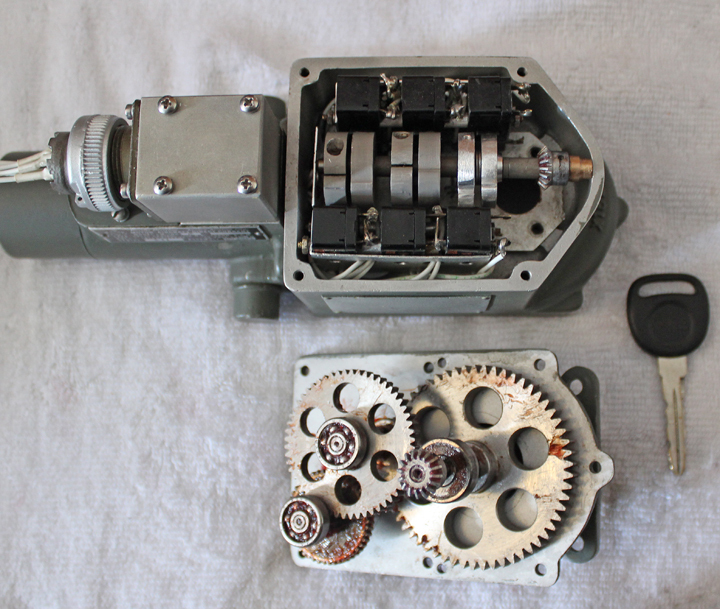 These two motors, with their microscopic armatures, field windings, micro-switch wiring, 90° gearing and switch rollers are almost complete. 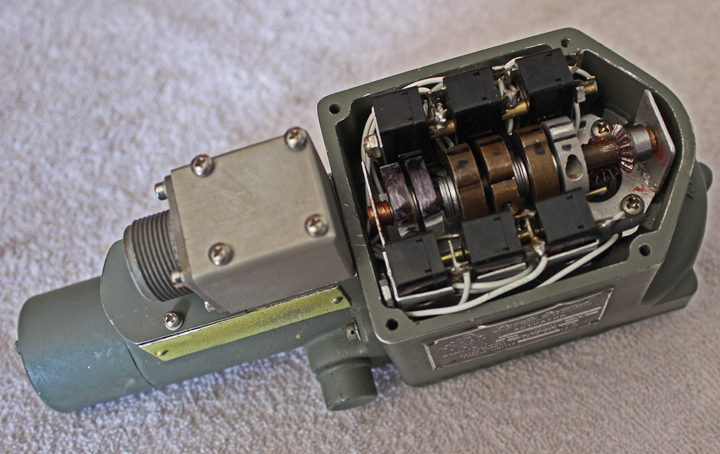 The left-hand motor has been finished for about two weeks now. 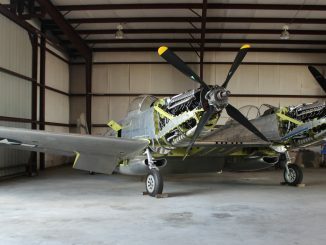 Reilly expects to have the final backlash fitting of the two 90 degree gears in the right-hand motor completed next week and both motors finally installed in the engine compartments. 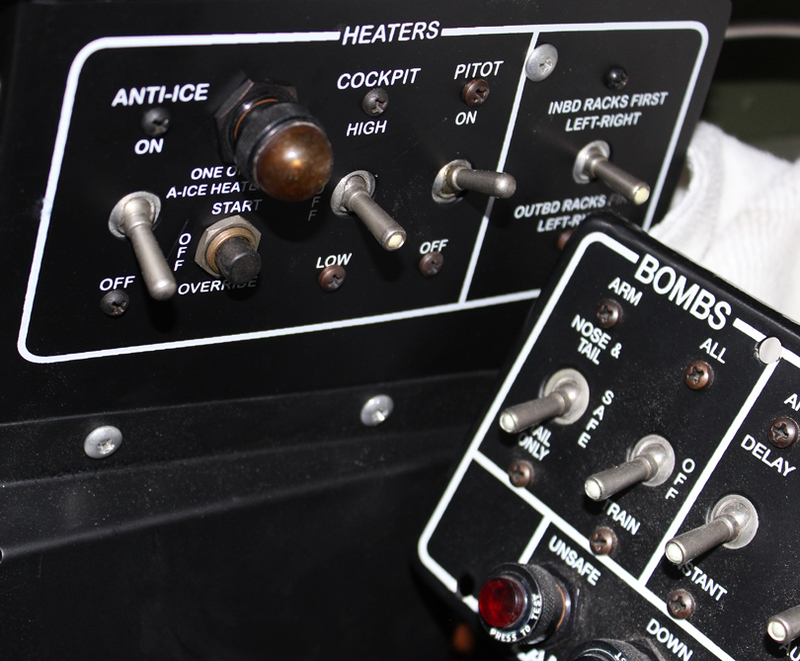 All of the screen-printed panels have now been fitted with their switches, rheostats, lights, push buttons, etc., and mounted in their respective positions in each cockpit. 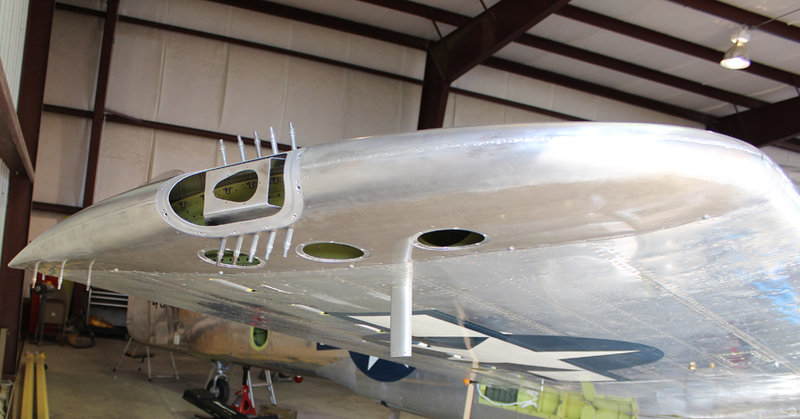 Tom Reilly chose to make two special steel mounting plates that attach with internal wrenching bolts to and through each lower wing attach angle. 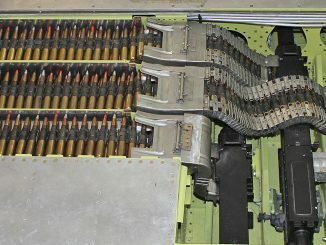 Each jack mounting plate has two male sockets, one adjacent to the center section main spar used for jacking the aircraft for gear retractions, and a second one next to the main landing gear for the weight-and-balance pick-up point. 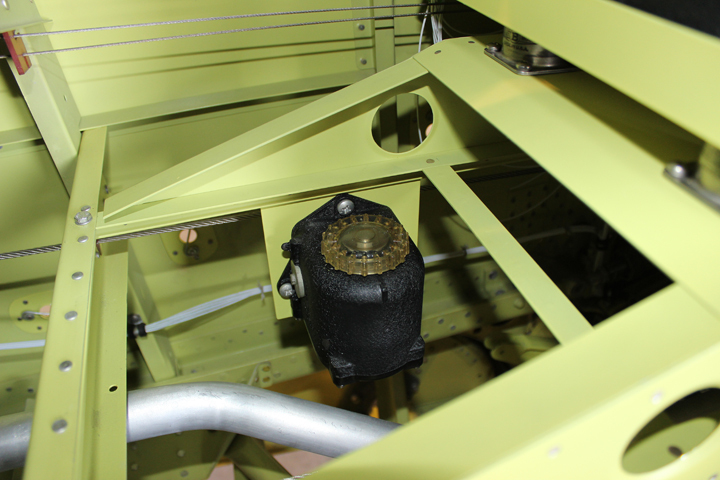 Both steel mounting plates are removable after the retractions and weight-and-balance calculations. 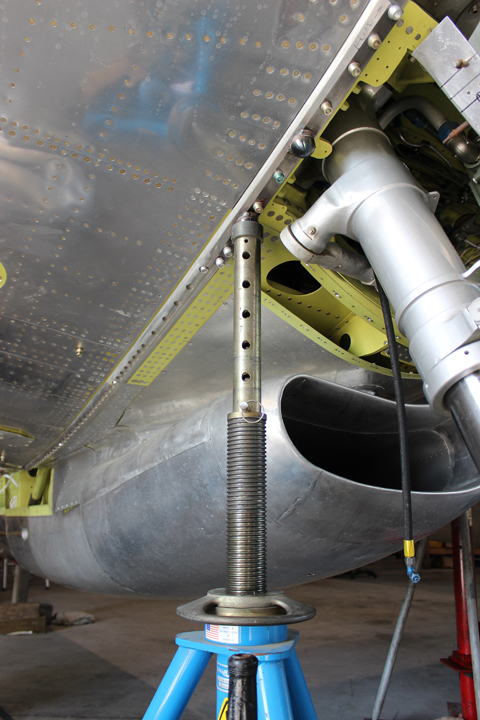 The restoration team has now filled the XP-82 hydraulic system with 14 quarts of Mil H 5606 hydraulic fluid, and is proceeding with the gear retraction tests. 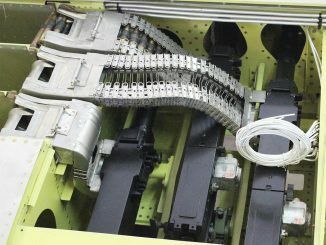 Much time is being spent adjusting the twelve push-pull rods which activate each inboard gear door forward and aft up-lock hooks along with the emergency up-lock release and hook pull cables. And that is all for this month’s report. 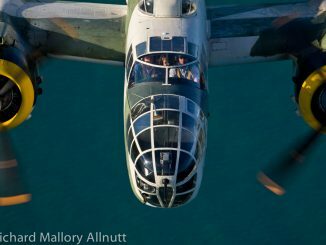 Many thanks again to Tom Reilly for this update. You can learn more about the project on their blog HERE. 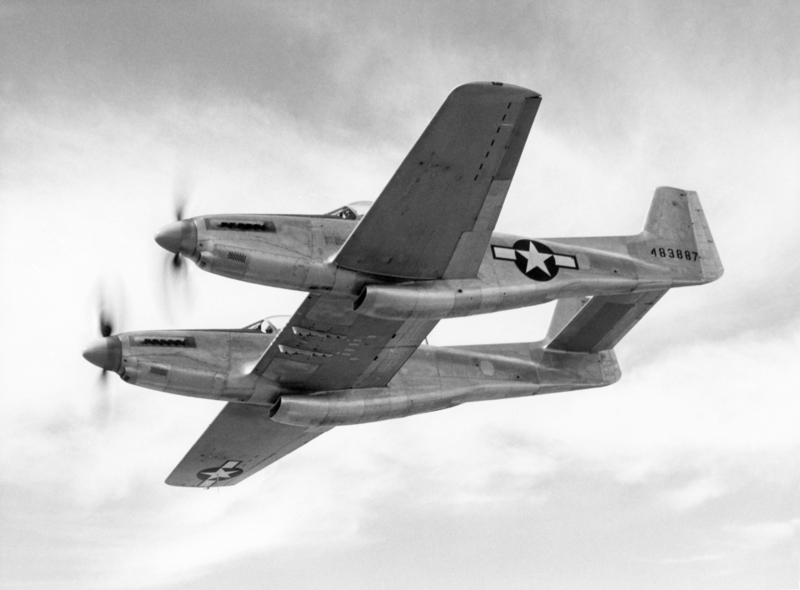 Please be sure to check back with WarbirdsNews in May, 2017 for the next installment in the story following the XP-82′s road to recovery! 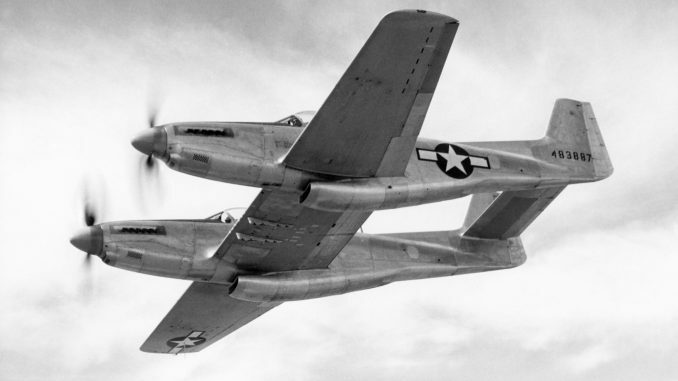 This was my father’s favorite aircraft. 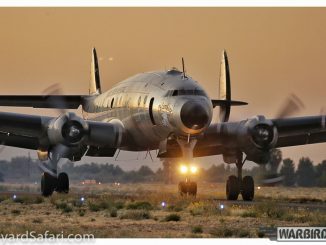 He was a flight engineer for B-29 aircraft during the Korean war. 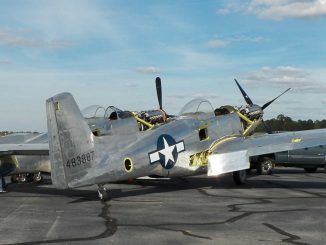 During inclement weather he liked to hang out with the men who maintained these aircraft. 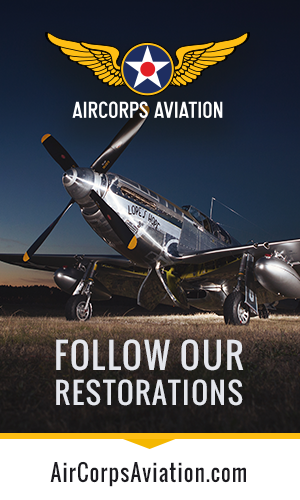 He would be thrilled to know that someone was restoring one. Thank you very much.